Earlier this month, St. Peter’s Health Partners Medical Associates (SPHPMA) launched its new website. 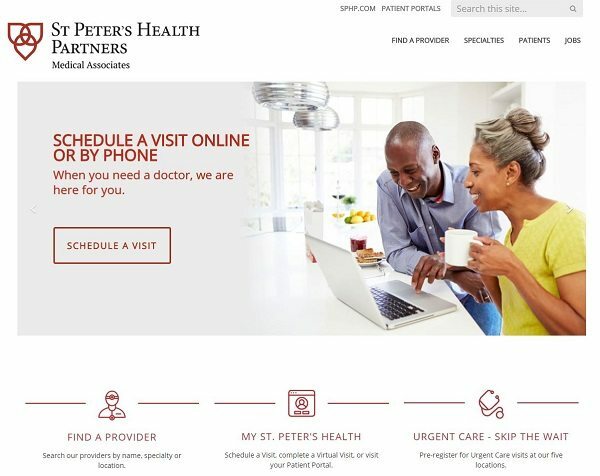 The site, www.sphpma.com, was designed and developed to help differentiate SPHPMA from other regional medical groups, and support the overall growth strategy of St. Peter’s Health Partners (SPHP). The website features new, state-of-the-art platforms and digital tools to help position SPHPMA and SPHP for growth. These features include: real-time online appointment scheduling for certain providers; the “Skip the Wait” scheduling option for SPHP Urgent Care locations; and Virtual Visit, which allows patients with commonly treated conditions (such as flu, sinus infections, urinary tract infections, or pink eye) to complete a short online interview and then receive a treatment plan within an hour from and on-call SPHPMA provider. Additionally, the new website features advanced search capabilities to help patients quickly and efficiently find a specific provider, practice, or specialty. The new SPHPMA website was months in the making, and represents a successful partnership between SPHPMA, SPHP Corporate Communications, the Communications and Marketing team at the Trinity Health System Office, and external partner Influence Health. Many thanks to everyone whose efforts made the new site such a success!